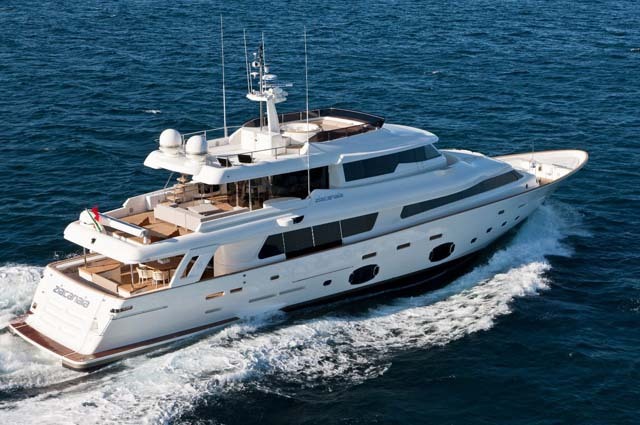 The evolution of the Navetta 26, where improvements have been made aesthetically and to the spaces aboard. The design has evolved to a more modern design with increased window area and better use of the space. 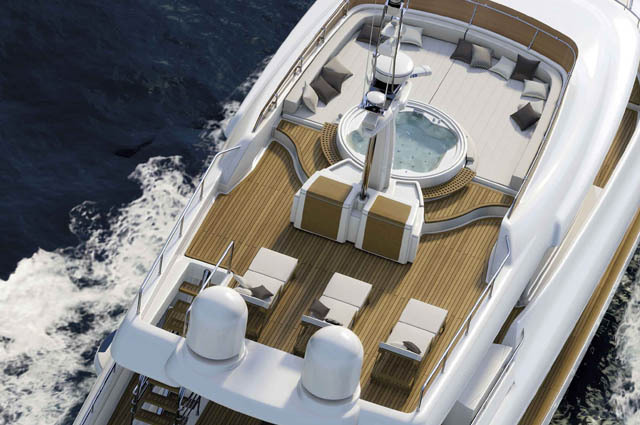 The exterior areas have increased, adding a sun-deck to the top, the bridge area has been increased, and there is a new dining table to the exterior deck. The upper and lower saloon has larger windows and a more contemporary look. There are two options for engines with this model, to best suit the owner in terms of performance and autonomy. 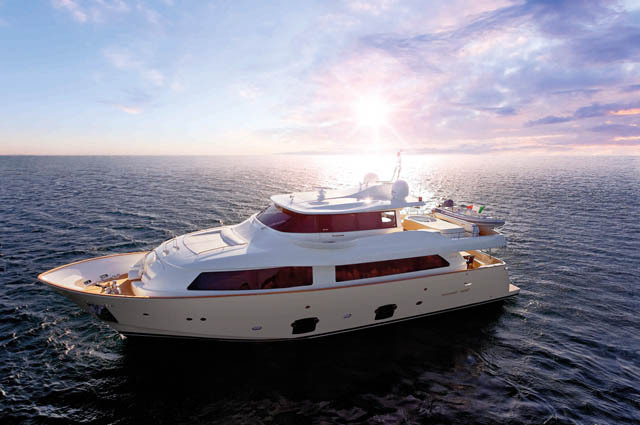 The new Ferretti Custom Line 124′ design, created by Architect Gianni Zuccon of Studio Zuccon International Project, together with Ferretti’s AYT – Advanced Yacht Technology, marks the launch of a wave of renewal in the yard’s history. 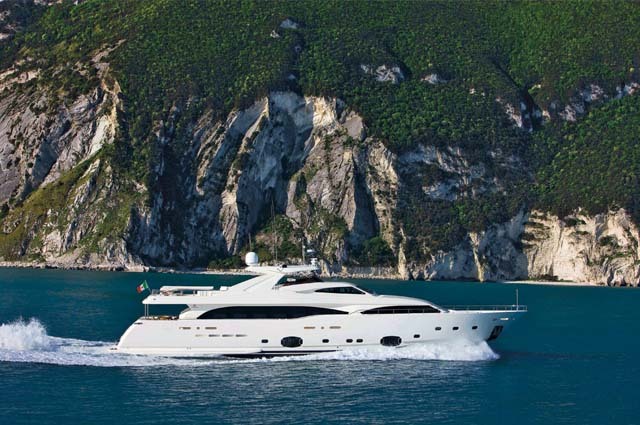 Ferretti is broadening its horizons while remaining faithful to tradition, with the design of its new planning flagship. 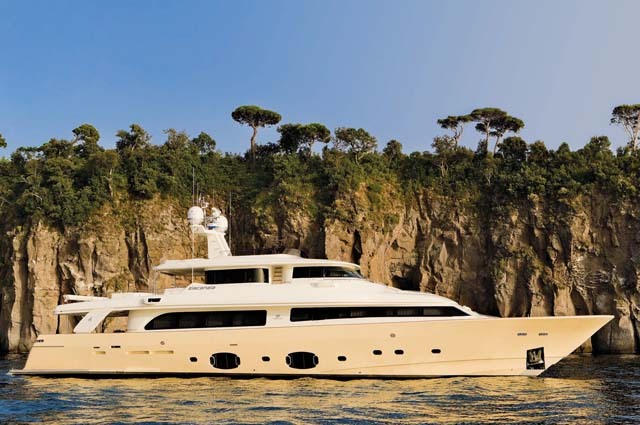 The Custom Line 124 combines the yard’s design and construction experience with a forward-looking philosophy underpinning a harmonious blend of elegance, performance and solutions that are strikingly innovative for craft of this length. Her exteriors display the light, sleek and elegant lines typical of the Ferretti Custom Line yachts, an effect created by an extensive sweep of windows using an innovation that is both aesthetic and functional: large glazed side doors in the saloon and fold-down platforms that can create exclusive terraces above the sea.